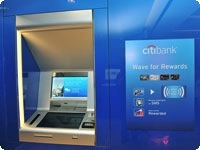 Citibank has chosen the country of Singapore to play host to the first biometric credit cards ever issued. The initial roll out calls for 190,000 cards to be dispersed and features technology by Pay By Touch. The full post can be seen here.